Edgar Lungu has stated that the international community should stay away from Congo DR ‘internal’ affairs. Lungu was meeting Congo DR dictator Joseph Kabila who arrived in Zambia on Saturday afternoon for a two day ‘working’ visit. Kabila’s term of office expired in December 2016 but he has refused to leave office and cancelled elections that where scheduled at the end of his term of office, a situation which has resulted in violence and conflict in the country. Zambia has consequently been receiving hundreds of Congolese refugees running away from fighting in Congo DR.
Kabila told Lungu that his country only had a few hot spots which he claimed are being dealt with. 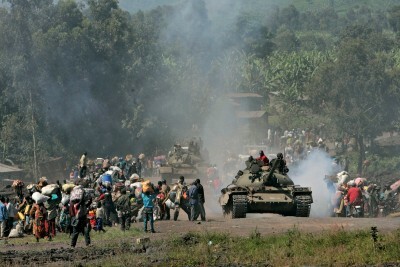 The international community is concerned with the conflict in Congo DR which is mainly driven by Kabila’s refusal to hold elections and leave power but Edgar Lungu has wondered why the international community has ‘ interest in Congo’s affairs which he claims should not be interfered with. Congo DR was scheduled to hold elections in December 2016 after the expiry of Kabila’s term of office but the polls were pushed to 2018 allowing Kabila to continue in office. Last month several people protesting Kabila’s continued stay in office were killed as security forces crashed the protests that were organised by the Catholic Church.